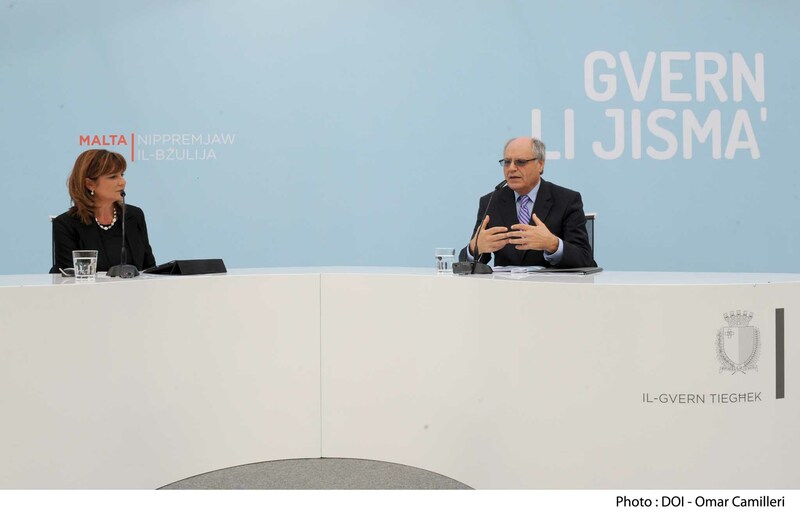 Finance Minister Edward Scicluna meets with The Malta Independent on Sunday in order to fill us in on what the government’s term plan is and how this budget fits into the grander scheme of things. 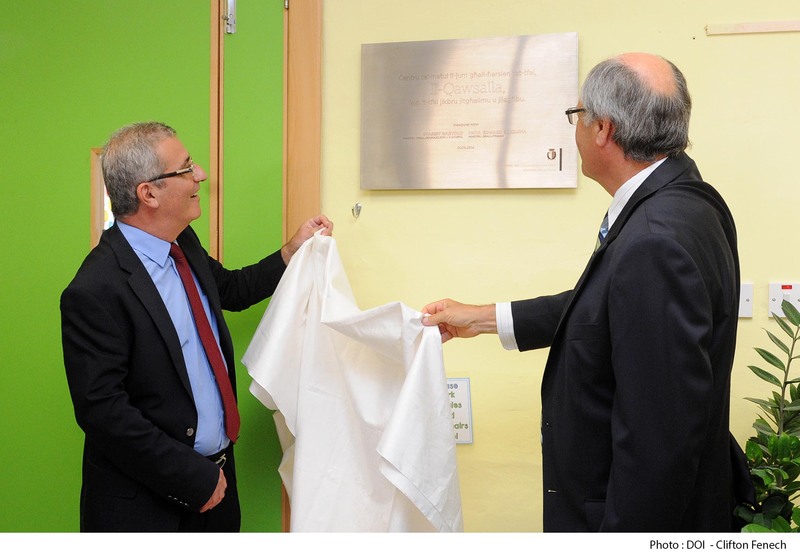 Professor Scicluna divulged the systematic approach taken by this government to tackle issues in various sections of society. Some criticised the budget for lacking vision. How does the 2017 Budget fit into the government’s long-term plan? Even before the budget we had a plan. I was part of a team and we costed every measure over time, ascertaining whether the country could afford it. Now we are just implementing the plan. For the very first budget, that is the previous government’s budget, our plan was to accept it. It was a bold decision. The reason we did that was because certain promises were made to the public and they had to be honoured. For the sake of continuity and stability, circumstances demanded that we get on with business; it was already March/April. The budget takes a year so if we were really going to be serious about our own budget, we had to stick with the plan. For our first budget, we concentrated on bringing people into the workforce, and making work pay. So we had the first time buyer measure, and then the whole gamut of tax measures on women because that was a hidden resource for Malta. We wanted to get them out into the workforce and remove the obstacles. We did this through the free child care centre measures and various others. We had this plan of making work pay. We used to speak about long-term unemployment, but it was for nothing if it paid people to stay at home and remain on benefits. Why would they lose all the benefits and get less pay? Thank you very much I’ll stay at home. They were rational. The second year was to take people away from dependencies, so to speak. We removed the dependency as much as possible by striking a deal. We said you can keep 2/3 of the benefits if you find work. The Employers association were against it because they said it does not make sense to have two workers doing the exact same job, where one is earning minimum wage and the other is earning minimum wage plus benefits. Sorry, that (paying benefits) was an expense already so we managed to get the person into the work force and proud of working. So first was making work pay, and we managed. Then we promoted work rather than dependency, and then we also addressed the problem of precarious work and minimum wage work. It was established that yes the minimum wage is not much and it’s not enough. That is a market decision because that minimum wage is reflecting the person’s productivity in that particular sector. The norm is people having better and better wages but workers in the declining industries get remain with the minimum wage. So we had to supplement it with the in work benefit. The in work benefit was tuned to get the partner to work and if they (a couple) both managed to work they would get €1,000 per child. This year, we went further and addressed even those women who can’t work, and we will give them €150 per child. So you managed to bring people into the workforce and reduce dependency. What happens next? The Opposition made slammed this government heavily for not looking after the poor. Looking back with hindsight, before we came to this budget we asked ourselves what we have obtain so far. We realised that poverty could come from four sources. For starters, these are a lack of work and very often a lack of education. By making people work and getting them into the labour force we are helping the poor. I mean those who are already working are doing relatively well. Those who were not doing well because they were unemployed – the single parents, the unemployed, those on social benefits, the 3,230 who came into the workforce and off benefits – we helped them while creating work and getting the economy to create the wealth we needed. We did the studies and the effect of tapering an in work benefit is that it hits the poorer and more vulnerable people. The second area is the working poor, which we are addressing with in work benefits. With that scheme you are better off because you are on minimum wage plus you have the added bonus from the in work benefits. The third reason for poverty is retirement. Why? Because from a full working life with overtime and so on, bang that stops and you are on a pension, and this is not adequate compared to your previous lifestyle. You really have to have a lot of assets so to speak to compensate for that lack of income. But the thing is that you had those assets before plus you had your work, which means that whatever the case you need to live off less. The fourth reason is the whole gamut of social problems – disability, sickness and all the vulnerable people who have to rely on social benefits. In our government’s three budgets we tried to address the first two. Last year, for this year, we addressed the pensions, we had a budget and there were so many ideas including those of the pensions working group, but we didn’t adopt those. They said start from the 75 but I said look, let’s raise the floor and make sure nobody would be below that. 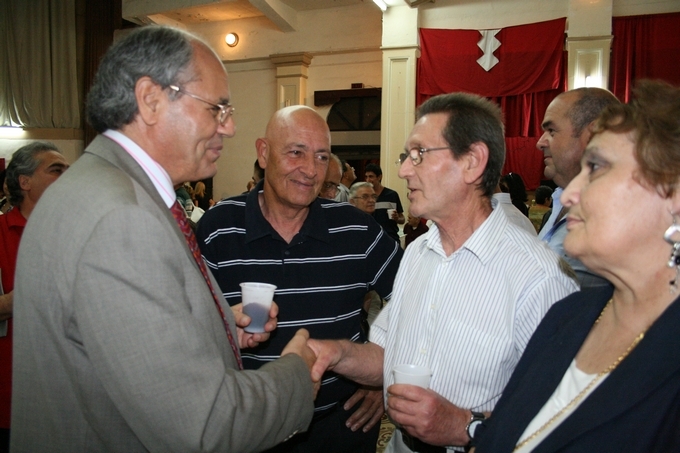 We ensured that nobody in Malta on a pension was receiving less than 140 a week. For those who were married we gave an extra four euros per week for the partner not earning a pension, but then we supplemented that. This year was not a question of now being the time to start sprinkling benefits everywhere simply because wealth is being created. We said we are going to address the third group – the retirees and the people on social benefits. They were only peripherally touched because even for the middle class, we had already raised the ceiling and removed some income tax. This year we went with a bigger bang on pensions. In fact, we have a packet of 20 measures directly affecting pensions. Plus there are others that will also affect pensioners indirectly. For example if we spent millions on cancer pills, that expenditure would also affect them. We then focused on social assistance because every time you cut taxation you are only hitting those who pay tax. What about the others? Some countries have a negative income tax whereby the government starts writing cheques to compensate for lower earnings. 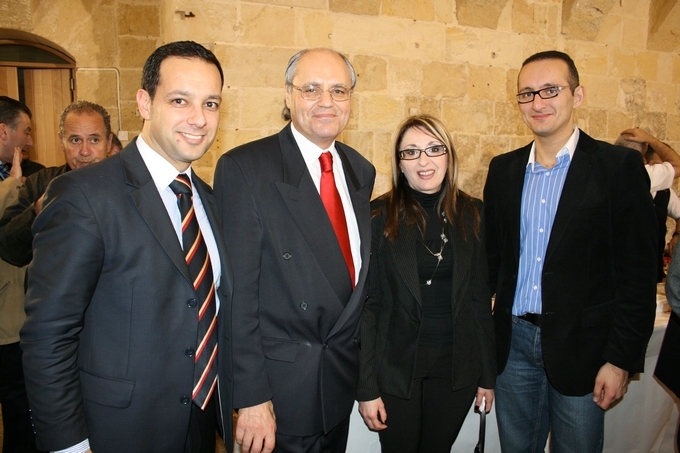 We have a system of social assistance but we are not prepared in Malta to have a very fair income tax. We have a patchwork system of social assistance for different circumstances. The hardest job was to figure out how they overlap and to ensure that nobody is missed and is allowed to slip through the loops. With income tax reductions we are not affecting the poor, with the income tax reductions we are affecting every pensioner in Malta including those in the middle, upper, lower you name it – anybody who pays tax. We are raising the ceiling from the norm of €9,100 for single people and €12,700 for married couples, which is the accepted and that’s what we have. In two years we are raising it from €9,100 to €13,000 which is nearly €4,000 and in two years, and that puts €585 in one’s pocket. For those who are married we have a differential, so even though the wife does not have a pension we gave €1,000 tax-free, from €13,000 to €14,000. So that €1,000 extra is not taxed no matter where it comes from, and it is not tied to a pension. The source of a pension could be anything – contributory, non-contributory, treasury, foreign you name it. 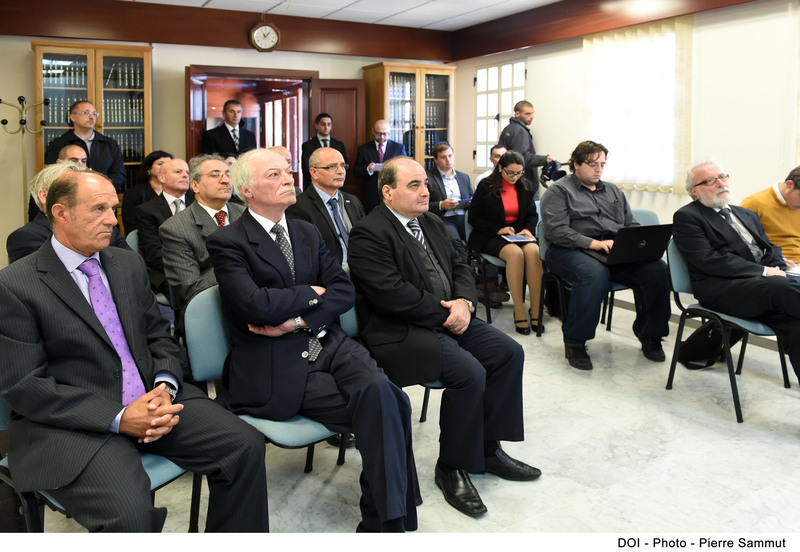 This budget seeks to address injustices from the past, through an €8 million fund. Can you tell me more about this? We have a package of €24 million and added €8 million to that, which will hopefully start to address so many anomalies that were created by the change in the pension system. First of all, they cannot all be addressed by the budget and they can also take years to address. Also, according to Eurostat, we couldn’t even accept the claim on the books. If we were to do so, it would be ours and the deficit would shoot up. So what we did in an intelligent way was we created a fund , we put €8 million in for the next year, and next time it could be €6 million or €10 million depending on how much the government can afford. These groups will be addressed accordingly. We have mapped certain injustices, and some of them are so small but they hurt so much. One of them was the means test – it was very cruel. It was unfair that two persons in different households have the same income, and one cheats whereas the other is honest. 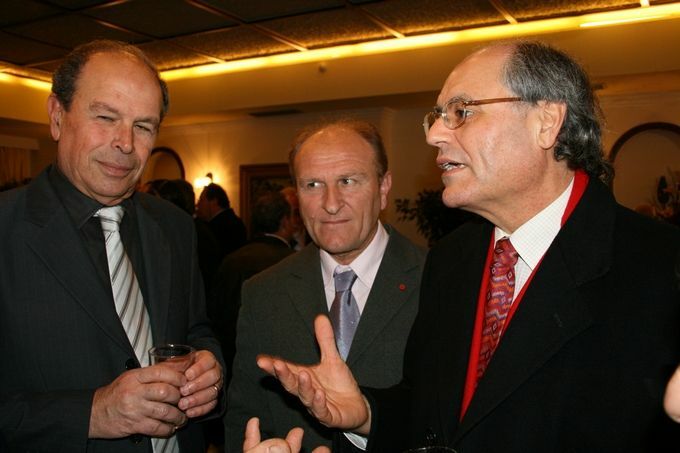 Both of them have, say, €10,000. One of them cheats and hides it under the mattress, while the other is honest and puts it in the bank. When government checks to make sure that a person meets the criteria for, for example, the pink slip, we see that this person goes beyond the threshold and that person gets taken off the pink slip list. Now it is the income rather than the assets that is being reviewed. Many of these people inherited, for example, one-tenth of a house in Bormla and it would be unfair for that person to not meet the means test threshold and for what – what is he going to get for that asset? This is also the case for the rent subsidy. It is no secret that rents have gone up. There are 1,500 people at present getting a subsidy. Over time we calculated a 70-80 per cent increase from the last change. We also doubled the number of beneficiaries from 1,500 to 3,000 by widening the means test threshold. So the Housing Authority will widen the means test in such a way so that another 1,500 will be added. There was also a group of 12,000 persons, most of them women, who, and it was so unfair, paid two or three years of National Insurance contributions but did not get a single cent of pension. This was because they were sent home from work by the government because they got married. That’s how it was – if you were a nurse or a teacher you were sent home because you were married, the woman was not considered the breadwinner so she did not deserve to work with the government back then. Worse still, they were not paid any pension. Two years ago I gave €100 to those who worked up to five years and €200 from five to eight years because they did not get the minimum pension. Now they are retired and you cannot ask them to pay NI contributions retroactively, so we compensated for them. This year we gave them another €50. These injustices affected a lot of people and it was a principle of justice rather than of the money itself. What is your reaction to criticism by the working age middle class that the 2017 budget does not serve them? People saying this must not have read the budget. First of all, for all the business people who have a company with property in it, the biggest headache was giving it to their children. They found it very unjust that the duty is at five per cent and they have quite a high value asset. So we gave them a one year reprieve from five percent to 1.5 per cent. If that isn’t a gift or a chance to address the middle class, I don’t know what is. They can do it in that year for the future rather than leaving a will; they can do it now and still be in control. The second one regards dividends. Who are the people who have shares on the stock exchange? I am not saying they are necessarily very rich but they are people with money. We are refunding the withholding tax if they were in the 25 per cent bracket when it fell from 35 per cent to 25 per cent. Again, those who benefit from those €42 million spread over three years in the income tax cut are going to benefit from this dividends issue. All tax players who are 62 and over – whether middle, upper middle, whatever – will get close to a €600 tax cut in two years from their pension income. Malta is an ageing population like the rest of the developed world. Is there a concern over the sustainability of our pension system? When we talk about sustainability we are speaking about the future, and not of today. In other words, we realise that we made mistakes in the past because we weren’t sophisticated enough to have looked into the future with models. In fact in 1979 the pension scheme was very generous and over time it effectively diminished. We are not going to make that mistake again and we are looking at sustainability. The first reform was when they changed the retirement age from 61 to 65, but it was prolonged to 2027. People will have to adjust to the fact that at 64 they will still be working and that they will not retire at 61. This year we revised the model, and we looked, with the European Commission, to the future. Productivity, participation of women, labour force, demographic growth, and economic growth are all parameters within the model. We also worked with the World Bank on this model to ensure that we are doing the methodology correctly. A working group got together, we had this model and recommendations were made. Now every five years government is obliged to go to Parliament and inform them of the position on sustainability. There are risks but with the reforms we have done we have increased one year NI payments and we make sure that anybody, up to 2060, can rest assured they will have a pension. They won’t go bankrupt or be cast into poverty. Secondly, we introduced the second pillar that we have been speaking about for a while. Now, it’s not a big deal because interest rates are low. However, those who are buying private insurance from an insurance company or from any other financial institution will get a tax break. In other words, we can double that €1,000 per person which they put in next year. This year we had other concerns to make it more attractive, that’s the third pillar which will supplement your first pillar. The business community is dead against the second pillar because they say it makes them less competitive. We can take that with a pinch of salt. It is a tax when the participation rate (of the second pillar) in Malta, no matter how much it has improved over the last three years, is still lagging behind the rest of Europe. When we reach the 2020 target of having an over 70 per cent participation like many modern countries, then you can ask them to start saving by forcing them both the employer and employee, to save so to speak, but just not now. You can still enter the pillar voluntarily. So for this year we are not calling it a second pillar as such, because it’s not forced. Any employer in any company that wants to introduce an occupational private pension, and where the employer contributes as much as the employee, would get a tax cut of 150 per cent of his contribution. These are like pilot projects, you hear that a company introduced it, and then the unions notice it. Once it starts being accepted, we will come to a time in the future where government can legislate and implement it across the whole economy. We believe that until we reach that participation rate, we will continue to have it on a voluntary basis.